Here is your Aquarius Horoscope for August 2018. Every month, you will find at WeMystic the astrological forecasts for your zodiac sign. The relationships of the sons and daughters of Aquarius will have a certain tenseness during August. This is motivated by the retrogradation of Mercury and the eclipse of the Sun in Leo (08/11) which will affect the VII House of the sign of the water carrier. Additionally, the entry of Lilith into Aquarius (08/06), can lead to break-ups and separations. The key to overcoming these alignments is sincerity and being open to listen to your partner’s allegations. If you become both judge and jury, you will only have disagreements. These quarrels will make it possible for past situations that are clouding the present to end. This could be reflected as a definitive break-up or as the step to the next level in a relationship (moving in together, getting married, forming a family, reconnecting as a couple) . The entrance of the Sun into the VIII House of Aquarius, on August 23rd, signals that you share common interests, through which it is possible to strengthen your union. Doing activities together (business or romantic) will be the first step to rekindling the flame of love and trust. While Neptune continues in retrograde in the II House of Aquarius, creating confusion in everything that is financial in nature, the Full Moon in Pisces will affect this planetary site (House II) on August 26th, changing the rules of the game. This lunar event will be responsible for getting you away from daydreams and aimless wandering to focus your attention on managing your resources better and evaluating the practical side of any objectives you have in mind. It is useless to have a good business idea if you do not put it into practice, and before taking that decisive step, it is necessary to know its real implications (cost of materials, necessary personnel, legal procedures, and others). Since the Sun will enter the VIII House of Aquarius on August 23rd, there is an opportunity to receive money or investment proposals from your partner or any relatives you share assets with. Remember that the dwarf planet Ceres is in the VIII House of Aquarius, so the project in question will require lots of hard work and commitment, more in a practical sense and less as an abstraction from reality. In the workplace, the presence of Jupiter in the X House of Aquarius will accompany you towards success and climbing the ladder in your corporate structure or business branch. However, it is important to bear in mind that Mars will be in retrograde in the XII House of Aquarius starting on August 12th, a planetary movement that provides a warning to watch out for the actions of hidden enemies, especially at work. Also, Pluto and Saturn are in the XII House of Aquarius in a process of apparent retrograde, which indicates a difference in criteria from older people or those who hold positions of power. The three planets in retrograde in the XII House of Aquarius (Mars, Pluto and Saturn), far from threatening your personal success, are placing situations before you that you thought you had overcome and clearly have not. It’s time to test the results of your growth. August will be a peaceful period for the students of Aquarius. And thanks to the entrance of Venus into the IX House of the sign (08/06), they will enjoy trips or artistic and recreational activities, which will awaken their inspiration. The topic of health will not bring great challenges for the followers of Aquarius during the month of August; however, they should be alert for a series of minor events. Uranus, ruling planet of the sign of the water carrier, will begin to retrograde on August 7th under the influence of Taurus, which implies a risk for minor back and neck injuries. 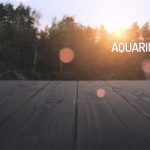 It is a good idea that those individuals who follow Aquarius, whether of the Sun or Ascendant, and have professional jobs that require them to be seated for a long time, make sure to maintain good posture. This also applies to anyone who must remain in a position with their neck bent downwards, either for work or recreational reasons (using a mobile phone or a computer that is not even with your line of sight, for example). Visiting the chiropractor, getting therapeutic type massages and hydrotherapy sessions (with the supervision of your trusted medical specialist) have positive outlooks for this period of the year. Another aspect to consider is the entrance of Lilith into Aquarius on August 6th. Remember that the South Node of Karma (things which must be overcome) will also be present in this sign. The entrance of Lilith into Aquarius supposes rebelling against the process of growth, which pushes the South Node, when showing patterns that you need to abandon. An example of this is reluctance to leave your comfort zone, even though this may imply considerable lifestyle improvements. Likewise, Lilith in Aquarius can cause episodes of nervousness or stress, the latter of which will be motivated by disagreements with close friends and even your partner. The lesson of this astral transit is to learn to be more receptive to the opinions of others. The fact is that other people have a different point of view than yours when faced with a certain situation. Regardless of who is right or wrong, the purpose is to learn to respect differences.